Live dealer casinos are online casinos where you have the added thrill of playing against a real dealer. 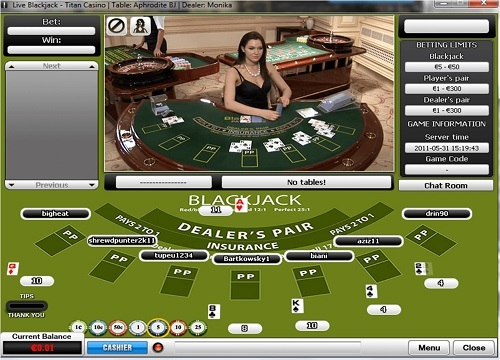 The online casino uses a webcam to show you the live dealer using real equipment. Players get to bet on their favourite table games. Enjoy the thrill of a live casino while playing from the comfort of your home through a computer or mobile device. Should I Play at South African Live Dealer Casinos? You should play at live dealer casinos if you are looking for a different experience to your online gambling. However, you would want to avoid them if you want to keep your data costs low. Live dealer casinos offer a human spin to traditional online casino games. It makes gambling from a device a social experience where you get to engage with the dealer and croupier. For players that prefer the real thing, or at least something as close to it as possible, live casinos are their game. The limits on small bets are lower than land-based casinos so those on a small budget can get in. Just make sure you find the right table for your entry level bet. As mentioned earlier, because live dealer casinos are essentially streaming via live webcam, data usage is extremely high. This means you will have to use Wi-Fi to lower data costs. The speed of the game is also much slower than a traditional online casino game as it takes time for the dealer to see and execute the move. For those playing on a budget, there are limited betting limits, especially on small bets. Depending on which game you are playing, the game’s functions are handled by an interface, much like an online casino game. 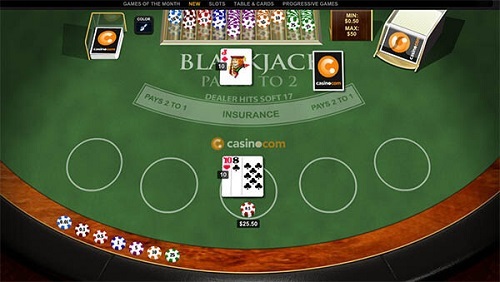 The chips, table layout, buttons for placing bets, and other actions that are part of the game are part of this digital user interface. You use a live chat box or microphone to interact with the dealer. The dealer sees your requests on a screen and does what you asked. Live Baccarat: this game was one of the first games offered in the live dealer format by online casinos. You can play the three main variations of live baccarat on offer – punti banco, chemin de fer, and baccarat banque. Live Poker: live poker can either be played in a group or just you against the dealer. The rules remain the same however blind bets alternate between the player and the dealer. You can find variations like Casino Hold’em, Texas Hold’em, and Caribbean Stud poker at live dealer casinos. Live Blackjack: you’ll find live blackjack either in its classic seven-seat multi-player table version or a version where a single dealer deals to many players. The same rules and gameplay as traditional blackjack apply. The cards are dealt by a dealer, and you wager money, trying to get as close to 21 as possible. Live Roulette: the live dealer version is similar to traditional roulette. You choose a colour, number, or area of the wheel you think the ball will land. The croupier spins the wheel and drops the ball. Live dealer online roulette offers some advantages: you can see outcome history charts, check your bet history, and play multiple tables at once. Live Sic Bo: you’ll enjoy live dealer live Sic Bo because you feel immersed in the action. It is similar to online Sic Bo. Live Sic Bo is often developed to cater to Asian players and are based in Asian dealer rooms as this is a Chinese dice game. You’ll find Western Sic Bo games on Playtech’s platform. Software: Check which software supplier is offering the dealer casino game. Some providers have a wider selection of live casino games, so check to see if you like what they have on offer before you play. The more online casino games, the This means that you’ll have a lot of fun on the live casino and hang around much longer. Security: The last thing you should do as a live casino player is forsake your security. Make sure the live casino is encrypted. The easiest way to check is if you look at the URL of the casino. If there’s a green lock, then all the information being communicated on the online casino is protected. Payouts and bonuses: Keep an eye out for what their policies are on payouts and bonuses. It’s important to pick a live casino that lets you withdraw your winnings quickly and without any hassle. Make sure the casino bonuses on offer are fair and easy to understand. Support: make sure that the live casino you pick has a 24/7 support line with more than one way of getting in touch with them. This is to ensure you have the help you need when running into any trouble. Mobile gaming version: modern live online casinos that take themselves seriously have a mobile option. The mobile version should be accessible on all devices and it uses encryption software to keep you safe while you play. Here is a list of the types of software providers that lets South African gamblers play live dealer casino games. With the improvement of technology and faster internet speeds, playing at live dealer casinos online is more accessible. Playtech was the first to launch live dealer casino software in 2003. Since then, finding live dealer casinos and games has become easier with it being a staple in any online casino. Do live casinos have the same odds as land-based casinos? Yes, since both live dealer casinos and land-based casinos work the same way. Both have a dealer running the game, and the results are truly random. Do all casinos offer the same live casino games? No. there are several online casino software providers that sell their games to online casinos. Each has their own style, interface, and games they support. South African players should always check which games they can play on offer before signing up. Are the same live casino games available on mobile and computer? If you have to download software to play at the live casino, generally you will not find the same games on mobile. However, if you can access the live casino via a web browser and play the same games on both mobile and desktop. Are live casinos legal in South Africa? All online casinos that provide live dealer casinos operate offshore. This means they don’t fall under South African jurisdiction, so you are depositing and withdrawing your money legally when you play.